There is a common and FALSE belief that many hours of practice will lead to a high level of scratching. What you likely have found is despite putting in tons of time practicing, you still can't scratch at the level you desire. You can work extremely hard yet yield very little improvement, because hard work in and of itself is not the be all end all for success. You would think that you should be much more advanced after all the effort you've poured into your scratching, but you're likely a lot farther away from succeeding than you care to be right now. Don't blame yourself. What you need to learn and how to achieve it aren't things you could possibly expect to know without proper guidance. Unfortunately, not having proper guidance can lead to feelings of self doubt and lack of belief in your potential to become an outstandingly great dj, but you have no reason to doubt your abilities any longer. You do not need to be born into this world with amazing talent. Regardless of how you currently perceive yourself, you have the opportunity to become talented beyond belief. The problem is most scratch teachers don't know this and have no idea how to teach you to reach your full potential. Instead they merely teach you various techniques, but they don't really explain what problems will arise when learning those techniques or how to truly overcome those issues. Not to mention all the other VITAL things these teachers neglect, that are necessary to become the dj you deeply desire to be. The results you'll achieve learning from average scratch teachers, free generic scratch tutorial videos or teaching yourself will NEVER bring you close to real success because those things don't really work. Average methods of learning equal average results, but you probably aren't satisfied with being average. In fact, you'll likely get set back even further in many cases, because it's rare that these average ways of learning are focused on what truly matters for you personally. It is very common for people to take lessons from highly unqualified scratch teachers who produce very poor results for their students. This is unfortunate because these types of teachers make up the majority of scratch instruction. After they grow tired of wasting tons of training time on things that don't get these students any closer to their goals they often come to me for lessons. The amount of detriment those teachers cause them is very apparent and I have a lot of damage to undo. Fortunately for them, I'm very good at picking apart and solving all the problems they now face due to sub par instruction and I get them on track to become a much better dj than they could ever expect to be if they continued studying dead end methods with dead end teachers. Another even more common approach to learning scratching that rarely works out well is learning on your own. This is actually even worse than taking low quality lessons because it involves way too much trial and error and faulty guesswork. Learning on your own is NOT effective or efficient. It will always take you far longer to reach your goals if you do this and more than likely you'll NEVER achieve most of your goals this way. People also often think they can just get by on youtube videos or similar paid videos to fill in the gaps of their self instruction. However, this is very foolish if you are really serious about becoming confident at scratching. Similar to typical scratch lessons, none of these videos cater to your personal goals and none of them focus on what's holding you back from learning what you must know to overcome your struggles with scratching. In fact the things that matter most for your development like how to successfully express emotion with your scratching and all the intricate details of how to fix any problem that comes your way are NEVER taught in these videos. If you want to have the kind of success you desire you need a scratch instructor who cares about your success. One who knows how to assess your current skill level, goals and the problems that are holding you back from achieving them so a strategy can be built for you to get the level of success you want and deserve as quickly as possible. All the while holding you accountable through the entire process to make sure you don't drift off course so you can get the results you should be getting. •You will no longer feel doubtful about your potential to become a great dj! •You will actually have a personal scratch lessons strategy uniquely created just for you, empowering you to reach your scratching goals quickly! •You will stop wasting time on lessons for scratching that don't work! •You will actually know how to practice scratching so that you are guaranteed to improve every time you practice! Believe it or not, just because you are practicing does not guarantee you are getting better until and unless you know how to practice correctly. •You will no longer struggle to reach your scratching goals and instead feel confident, excited and motivated by how great you are finally able to scratch. The Most Personal and Effective Scratch Lessons Online! As you learn scratching with me, you're not simply given a lot of generic things to practice like you would from everyone else. Everything we do together is based around you, your goals, needs, challenges, strengths, weaknesses, learning styles, experience, frustrations, what you are struggling with, what you are already good at and who you want to become. This is why when you sign up for lessons with me, the very first thing you will do is fill out an evaluation form that will inform me of everything I need to know about you in order to create the best possible success strategy for you. This will be the basis for all your lessons from me so that you are sure to achieve all of your scratch goals. Other scratch teachers offering lessons will never ask you any vital questions about you, because they will not create a personalized plan to teach you. They teach all students exactly the same way, or have no plan at all! After I create an extremely detailed, targeted strategy for you, I will guide you through the entire process. This ensures you reach your goals and go far beyond what you ever thought was possible for you. I will give you the knowledge, skills, motivation, confidence, guidance and everything else you need to become better than you ever imagined. The vast majority of my students started out as ordinary people. They didn't have any more natural talent than you do. Most were nowhere near the advanced scratching level when I began teaching them. They were simply normal people who followed what I taught them to do. If they can do it, so can you! "I've thought about taking online scratch lessons before, but one thing that has stopped me is I'm not really crazy about the common format on a lot of websites that do offer scratch lessons. A lot of times you sign up, pay for your first month and then you get access to a bunch of tutorial videos, but from there you're pretty much left to figure things out on your own. It's not live one on one like it is with Chris. Chris has introduced me to concepts and ideas that I simply was not familiar with before and because of this I feel like I'm a lot more creative and definitely a better scratch dj all around. One thing that I really like about these lessons is that Chris builds a curriculum based around your specific goals and needs. Chris is extremely good at seeking out where you need improvement and then offering the proper exercises to help you quickly reach where you need to be. Chris considers your goals and skill level! You don't end up with lessons that are too advanced or too basic for what you want to do. Another thing that I really like is that Chris is a very talented turntablist. He's definitely incredible, but Chris is equally talented at teaching and this is really rare because there are a lot of great turntablists who can do some incredible things, but they're not capable of breaking down their techniques in a way that's easy for you to understand. With Chris that's not a problem. Chris can dissect and break down anything and make it really easy for anybody to grasp. Because things are so easy to understand and well explained, you will reach your goals a lot faster than you will ever imagine! There were certain techniques that I thought were going to take years to get down and I was doing them within weeks thanks to the advice provided by Chris. Another thing that I like is that the lessons Chris provides are very unique and have a very upbeat vibe. I think that's great because it makes learning that much easier and fun to do. Every single lesson I've had with Chris has been packed with very helpful tips, secrets and all this great advice that you're not going to find anywhere else! I would totally recommend these lessons! In my opinion they're priceless!" "I used to think that I wanted to be a self taught turntablist and that I could do it all on my own without help. I thought learning to scratch on my own would make me a stronger turntablist in the end and I would have my own unique style as a result. This is actually not true at all. Like many professional musicians who take lessons to get better at their craft, the same thing applies to turntablists. The turntable is a music instrument just like the guitar or piano, and if you want to be the most professional at your craft you should seek professional guidance. Chris provides such guidance. I found that after taking scratch lessons from Chris I was able to practice more effectively and have way more fun practicing. Chris was also able to help me develop my own unique style and help me along the way with any questions or concerns I had about scratching. Chris even helped me with other things that were not limited to scratching like website ideas, business ideas and having a positive mentality. What I like most about taking lessons with Chris is he is able to help me reach my goals by creating practice material that breaks things down to the core essentials. He is always available via email to answer any questions I have. Chris will teach you practice strategies that will help you meet your specific goals. I would recommend Chris' service to any scratch DJ who takes their scratching seriously! I would also like to add that it was the 'Definitive Guide to the Tear Scratch' that got me interested in taking lessons with Chris. After reading and working through that guide, my whole outlook on scratching changed for the better." "The effort required to find quality scratch dj instruction is a large obstacle. It's always a bit of a leap of faith to just go find someone on the internet, but that is the only option most of us have. Moreover, the extent to which you'll go to find good scratch instruction depends on how seriously you take your musical goals. You don't have many options when it comes to scratch instruction so being open minded is paramount. I wasted a lot of money on some of the "brand name" scratch instruction websites and videos out there because I thought they were "safe" choices. It turns out not being open minded early on ended up holding me back from discovering Chris Kwote. Chris Kwote's lessons are very comprehensive. I've gotten a lot of value from the detailed instructions and overall level of diligence paid to customizing my lessons. I've come to appreciate the level of accountability that the assignments demand as well. Knowing that Chris is along for the ride with me and takes my goals as seriously as I do is great. This niche art form can be very isolating and solitary at times when you live outside of only a select few cities, so that's what I appreciate the most. When a challenge arises in your scratching, there's nothing like having a good tactician like Chris on your side. Chris always has prescriptive solutions to help me overcome my challenges. Sometimes I don't even realize it, but there is some wax on, wax off type stuff going on and then next thing I know I've reached another skill level. Chris has countless strategies for making complex techniques digestible. There are a lot of very fine motor movements that go into what looks like simply noodling around to a layperson. Chris Kwote's ability to break these things down has been a very positive theme throughout my lessons. It's allowed me to practice much less and be much more effective. Chris Kwote's strategies have helped me with issues regarding record control, tension, hand placement, posture, and the list goes on. Having a realistic practice routine that meets my time constraints and goals is crucial. Every week I get a new practice routine that is tweaked based on my previous week's lessons and Chris Kwote's judgement and experience. I have even dealt with certain physical ailments that Chris has helped me accommodate and work through. Practicing intelligently has been something that Chris has taught me to incorporate into my practice routine. The ultimate goal of all the practice time is to be able to be expressive. I have played various instruments and styles of music throughout the years and what I appreciate is that Chris Kwote's lessons all come back to self expression. Plenty of work goes into technique and mechanics but what underpins the goal of all the lessons is never lost and that is to facilitate creative self expression. It's easy to lose sight of this when learning technical combos and scratches. In fact there was a time when I spent all my practice time drilling techniques and hardly thinking of how to construct a solo or use phrasing effectively. You'll be shocked at how much commitment Chris puts into your lessons. In fact, I bet you'll be asking yourself if you are as committed as you previously thought you were when you see how his lessons operate. Early on, I found myself having to ask how dedicated I really was. The reason is that I had become used to a lazy, disorganized, unproductive, jamming focused practice style which is really the path of least resistance. If you're open minded to Chris Kwote's methods, you'll learn to stick to a routine, use a metronome, concentrate, practice in a deliberate fashion and problem solve and it will all pay off." "I had reservations about lessons from Chris because I already tried Qbert's scratch lessons. I was still struggling despite lessons at QSU. I practiced a lot, but I wasn’t being taught how to properly apply the techniques I was learning from QSU. Taking scratch lessons from Chris enabled me to believe in myself and therefore set a pace that optimized growth for me as an artist. Chris is about as blunt as you could possibly ask for in a lesson, which makes it easier to grasp the concepts you’ll learn and overall progress of your scratching. Chris tells you what you need and what you don't. He's more concerned about your growth than your money, which builds a sustainable relationship for you to accomplish your goals. 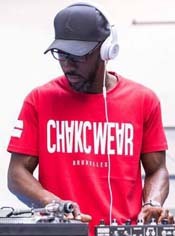 I would recommend Chris for lessons because there's a lot of weak tutorials out there that just don't cut it, some even by your favorite turntablists." "I was worried about taking lessons because English isn't my first language. This has never been a problem for Chris. He always makes sure he understands me and that I understand him. Taking lessons with Chris has really helped my understanding of scratch techniques. The way that Chris explains things is so simple and clear. Chris can see quickly where I'm struggling and give me tips to progress in that area. I've seen a lot of fast improvement since I began lessons with Chris. I like the real time exchange on skype because it allows me to ask Chris about my problems with some techniques. When I make a mistake, Chris can stop me and show me the correct way to work on the problem. This saves me lot of time and helps me focus on what matters when practicing. Sometimes I need help when we are not live on Skype. Chris always takes time to answer my questions in email and he's very detailed. I recommend Chris Kwote's scratch lessons for anyone who wants to improve because Chris knows how to break down things clearly. He also has the ability to find your weak areas and give good advice to help you improve faster than you can imagine. Chris is an excellent teacher who really knows what he is doing." "I had long considered the benefits of taking scratch lessons, but I never thought there would be any use in lessons that weren't local. With nobody in my area that was able to help me progress at scratching I spent a long time mindlessly practicing techniques I already knew, making little or no progress. After many years I finally heard about Chris Kwote's live one on one scratch lessons via Skype. After going over Chris' thorough initiation process I discovered that a lot of what I thought I knew was quite hazy (a bunch of misremembered techniques picked up from YouTube videos or sketchy versions of techniques). Chris helped me stop aimlessly going over old territory and greatly build and expand upon my established skills. Chris was also swift to spot some issues of mine that he gave easy to learn remedies for. These solutions greatly improved my technique within just the first couple of lessons. Chris helped me to establish a proper practice routine, which he tailored to my particular needs and the amount of practice time I had available. He also revises this schedule after each lesson which has helped me continually break new ground and maximize the speed of my improvement. Although there is plenty of information for turntablists available online it is often from non trust worthy sources, or described too briefly to be truly valuable. What Chris brings to the table is a level of trust. He has been through a similar journey with his own practicing trials and tribulations and can teach how to get past such challenges. Chris also has a wealth of knowledge to share about musical concepts that apply to scratching that stem from his unique standpoint. His calm advice and positive outlook have taught me a lot of lessons outside of scratching too. I'd gladly recommend Chris Kwote to anyone who wants to improve any aspect of their own musical journey. His training style concentrates not just on teaching scratch techniques (although he's great at that too) but giving you the correct approach and advice to resolve any issues along the way. Truly I've improved much more taking lessons with Chris than in my last 10 years of trying to scratch on my own." "Before taking scratch lessons from Chris Kwote I had concerns about my confidence because it's sometimes difficult to hear that your cuts sound sloppy or you need to improve certain things. However, I realized it's important to focus on your weaknesses to make them part of your strengths. Chris does a great job of being encouraging and providing resources to help me improve. Now that I've been taking scratch dj lessons with Chris I've had a huge boost in confidence and have a broader scratch vocabulary. Before working with Chris I probably only had a handful of scratches that I would even attempt when freestyling with my friends or out at the clubs. I really appreciate Chris Kwote's ability to listen and tell you exactly what you need to work on to make your cuts sound better. I also really value his quick email responses to any questions I might have about my scratching. 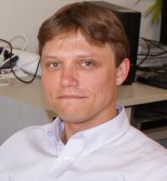 Chris has the ability to help you find solutions to your problems. His 1 on 1 coaching is very in depth. The scratch practice material provided by Chris after each lesson focuses greatly on what you need to do to improve. I would recommend Chris' service because if you want to be good at scratching you have to not only practice but you have to be doing the right training to improve. Chris provides the necessary constructive criticism to help you achieve your goals. 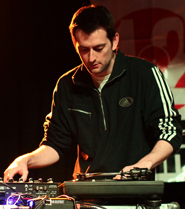 Whether you're a beginner or advanced scratch dj there is always room for improvement and Chris will give you the insight you need to do that." The fastest way for you to get from where you are now to where you want your scratching to be is to join these dj's and do what they have done. Start your online scratch lessons today! •Personal scratch lessons based on a proven and powerful strategy specifically created for you so that you have exactly what you need to become an awesome dj fast. •You get the very best scratch teaching concepts, fast learning approaches and problem solving strategies so that you advance your scratching as fast as possible. •Master accuracy and speed in your record hand and fader hand so that you are able to consistently perform all the fast and advanced cuts you want and sound like a pro. •Master your creativity so that your scratching sounds original, expressive and undeniably awesome! Creativity can be learned and therefore it can be taught. Most other scratch teachers do not know this and therefore don't teach it. •Master your scratch freestyle skills and effortlessly impress people, jam with other talented musicians and have a lot more fun with your scratching. •Master your rhythm. I'll teach you to make it tremendously on point and more expressive so that your scratching grabs people's attention immediately! Rhythm is the most essential part of music, so you'll want to make sure you gain complete control over it! •You will finally eliminate bad habits in your scratching and fill in the missing pieces in your knowledge and skills that were likely caused by being self taught, learning from unqualified scratch teachers, or learning from conflicting sources. •You get critically important training on how to apply everything you know, are learning and have learned in scratching. Until and unless you are actually able to use what you know, it's all useless! •Learn how to integrate your scratch skills together so that you can fluently and effortlessly scratch however you want. Integration is a HUGE key to becoming a great, or even a good dj, because without it you're going to struggle. Amazingly, most other scratch teachers don't teach integration because they don't know how. •You get my personal feedback on your scratching so that we are able to fix any technique problem, mistake or bad habit that you may be totally unaware of, or are unsure how to fix. •You only get things to practice that you truly need to work on so you stop wasting time practicing things that are not directly relevant to your specific goals. •You will never get boring or meaningless busy work. Yes, you are going to do real work, but that work is going to be relevant, goal driven and fun. •Learn from anywhere in the world, without ever leaving the comfort of your home. •You are guaranteed to never forget anything you learn from me because everything I teach you in your scratch lessons will be documented and you can always refer back to any lesson material at zero cost to you forever! •You won't get ripped off by having to pay to get your questions answered. Other teachers trick you into paying to ask questions by only addressing your questions during your paid lesson time. As a student of mine, you can ask questions anytime through my email and get detailed, high quality answers, for free! •We are going to do whatever it takes to break through any barrier that's preventing you from being what you should be, a dj who scratches with complete confidence! "I always thought it was possible to get better at scratching with lots of practice and that you don't need a teacher for this. What I realized is it's very difficult to get ahead on your own. When you watch videos of turntablists, it's very hard to figure out what they're doing. I opted for lessons with Chris because he can explain how to improve your scratching very well, which is really rare. You go through your scratches with Chris and he tells you what your problems are and how to fix them. Chris handles scratching with a very structured approach, which was new to me. Before that, my scratch practice was very unstructured, time consuming and uncontrolled. Chris taught me, to handle scratching like training in the gym, to follow a specific training schedule with a specific daily split per week. Chris is very conscious of my personal goals, so that I stay on track with what I want to achieve. All classes build on each other and my progress is clear, so I'm always looking forward to the next one. This is what makes learning scratching from Chris and practicing a lot of fun. The most intriguing thing is Chris has drawn my attention to physical things I didn't know about scratching. These things can hold you back or make you improve. After making these physical adjustments, I felt a great feeling that my potential for scratching is limitless. Through Chris, I've learned so many secrets of scratching that I never would've found out on my own, since hardly anyone deliberately talks about them. Small adjustments are often enough to make even the basic techniques sound professional. My lessons with Chris are very motivating which allows me to stay focused and achieve my goals. I recommend Chris' lessons to anyone who takes djing and scratching seriously. The motivation Chris provides is great and the practice approach you learn from him will save you a ton of time and frustration. Chris' lessons are worth every penny! Lessons with Chris are also great because he's not limited to scratching and will always respond to your questions. Chris also teaches beat juggling techniques and explains in detail what it takes to be successful as a turntablist. 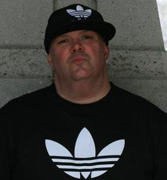 In addition, Chris also advises me on other issues and will help you expand your dj business." "When I first considered taking lessons with Chris, I was hesitant because his service lacked publicity and good recommendations. Despite my feelings, I signed up for lessons with Chris anyway, not really knowing if he would help me to improve my turntables skills. I was hopeful he could help me break away from my boring scratching routine. I did not regret my decision and found out that not only do I have fun during my lessons with Chris, but I have improved steadily at a good rate! I like that Chris is not afraid to tell the truth for the sake of my improvement and is thoughtful in his comments and instructions. Chris' level of experience and attention to details helped me to see clearly the areas that needed improvement which were previously unknown to me. Also, his patient manner helps me to improve with ease. I absolutely recommend lessons with Chris because I've seen great improvement in my scratching! I feel Chris is very good in further development of the skills that I already have at hand and helping me to make the most out of it. I believe that Chris is an excellent mentor and would help anyone to achieve their turntable goals effectively!" 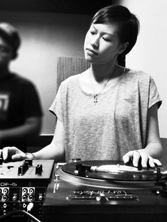 "I'm a totally different turntablist than when I started lessons with Chris. The results that I'm getting with Chris, I don't think I could have got on my own. I was self taught before I took lessons with Chris and I thought I was pretty good, but Chris made me realize things that I needed to work on and he can do the same for you. If you want to improve, Chris Kwote's the man to definitely help you conquer those obstacles and reach those goals!" "I’d been deejaying for over 10 years before I met with Chris Kwote. I've primarily been a club DJ and although scratching was an interest of mine, I never felt confident enough to pursue it, mainly because I didn't really know where to start. Luckily, I was able to have a consultation with Kwote and in the short time we met, he gave me tips and suggested changes I could make in order to have more control over my cuts. After trying these suggestions out, I realized that having proper guidance from Chris would definitely improve my scratching. Since I've been taking lessons with Chris, my record control has improved immensely, my focus has sharpened, and my creativity has deepened. I think the most important thing I've learned from Chris is how to practice. My scratch sessions now have structure, and in turn, my scratching is so much cleaner. Being able to have Skype lessons is very convenient. Chris Kwote is also available for questions through email anytime, which really helps when I'm stuck with certain techniques. Kwote encourages my creativity and always provides detailed feedback on the progress of my cuts. The lessons have not only improved my scratching, but have also improved my focus, my musical ear, and basic DJ skills which I sometimes overlooked. I would definitely recommend Chris Kwote to DJs of all genres." "Before lessons with Chris, I wasn’t sure what qualifications he had and was there a real benefit. I also never realized how far one could dissect everything. Since I’ve taken lessons from Chris, I see the tables and techniques in a whole new light. It’s a feeling of enlightenment. I've seen measured progression in a short time! If you've been teaching yourself on Youtube or signing up to other dj schools, you’ll learn but at a slower pace. Chris speeds up progression exponentially. There’s things I would never have thought of or learned on my own." "Before lessons with Chris I was worried about the extreme distance of my location to his. When I saw he provides lessons on Skype, I jumped at the chance to train with him! Once I began lessons with Chris, I was able to work on an area of my scratching that dumbfounded me in the past. Chris immediately understood where I wanted to grow with my scratching. He showed me new ways to do it and kept me on track when I wavered. Chris has something I want in terms of turntable wizardry and is able to teach it as well. It was the exact combo I was looking for!" "I never have been committed to my scratching 100%. This happened mostly because I didn't see a clear path that would allow me to progress at a constant pace. Results from my practice were unpredictable and sometimes months would go by without much progress. After a few years into turntablism I tried multiple online classes and musical schools that provide dj lessons. They were accessible but lacked greatly in feedback, plus there was no control over the schedule. - Tailored Schedule: Chris evaluates your level and starts building up a personal schedule that is the most effective for you. The schedule makes it easy to stay focused on your goals without requiring much time. The best part is as long as you follow it regularly you will see some major progress. - Motivation: Like I said in the beginning, it is hard to keep yourself constantly committed and Chris is great at keeping you engaged from lesson to lesson. It is similar to going to the gym. You don't really need a coach to move the weights up and down, but in order to excel at something there needs to be someone standing by you saying "More! You can do more!". - Feedback: For every new technique that you will be working on Chris will provide the most detailed feedback possible. You can't imagine how detailed the guy is and he never forgets to reply to any of my questions that I email him. I personally like to send him videos that I'm influenced by and want to learn from, so he can break them down into simple components that are understandable and easier to master, rather than trying to figure out the whole video without guidance. With all of that said, I just want to add that taking scratch classes from Chris has been the best decision I've made for improving my Turntablism skills. With Chris' help I'm able to stay focused on my goals and actually remain committed to becoming a better turntablist. I definitely recommend his classes to everyone!" Stop wasting time wondering if you will ever reach the level of scratching you desire. You must understand that the frustration you're going through is completely unnecessary. You can be the awesome dj you've dreamed of becoming! Click on the big yellow button below. Once you've signed up for lessons, I will send you a questionnaire so you can tell me about yourself, your musical skills, knowledge, strengths, weaknesses, frustrations, background and scratching goals so I can build the perfect scratch lesson strategy specifically for you. This ensures you advance your scratching fast. P.S. If you were truly satisfied with your scratching you wouldn't have read this far. Stop accepting the limitations you've placed on yourself and do what it takes to be the most outstanding dj you can be. You can't expect major results if you're not willing to get on the fast track to success. Don't remain unsatisfied with your scratching any longer. Become a dj who scratches with undeniable confidence! P.P.S. This is not like the other scratch lesson sites that claim you’ll get results, but only offer a series of generic scratch technique videos. These videos offer very little instruction and leave you struggling completely on your own to figure things out. The lessons I offer are LIVE ONE ON ONE through Skype. I take into account every personal detail of what you’re struggling with and how it relates to your goals so you get results in REAL TIME! The value of these lessons is far above and beyond what anyone else is offering. You won’t get the level of training and support I offer anywhere else! I Just Started Scratching Recently, Can I Take Your Scratch Lessons? Answer: Definitely! I teach all levels, from complete beginner to advanced dj's. Do I Have To Follow Everything You Say And Teach Me In Lessons? Answer: Only if you want to improve your scratching as quickly as possible. Answer: Yes. A usb webcam or one that is built into your laptop is the most ideal. Any other device that can run Skype and has a built in camera will work as well, but you may need a stand to support it. My Friend Takes Lessons From You. Can't I Just Learn From The Lesson Materials That You Gave Them? Answer: That won't work for you. This is not some scratch course where all students get the exact same lessons. In order for you to become the dj you want to become, you need personalized scratch lessons with a custom built strategy based on you, your goals, needs, challenges, strengths, weaknesses, learning styles, experience, frustrations, what you are struggling with, what you are already good at and who you want to become. Answer: No. You can take my scratch lessons online from anywhere throughout the world.